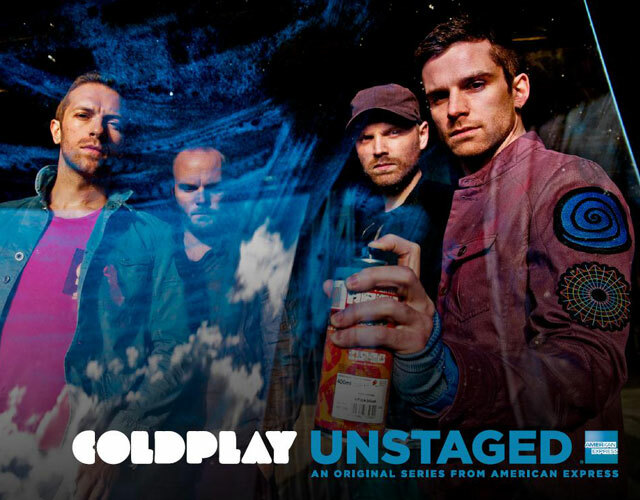 SnapCacklePop: Watch Coldplay LIVE from Madrid! Watch Coldplay LIVE from Madrid! Were you about last Thursday to catch Coldplay live in Spain? Well if you weren't around at 7am local Sydney time to catch the show, never fear, SCP is here! Last week the Brit band performed live in Madrid for “American Express Upstaged” performance – a global live stream music series available on mobile devices via VEVO and YouTube apps for iPhone, iPod touch, iPad and Android. The band performed a number of tracks their latest album Mylo Xyloto and the bands other hits from previous albums including The Scientist, Fix You and Yellow. Check out some of our fav performances below however for all the tracks the band performed head over to their VEVO channel.